First and foremost, road signs will give you information about specific driving regulations. These regulatory signs are for things like the speed limit, railroad crossings, no parking, wrong way, one-way roads, and the all-important stop and yield signs, to name a few. These usually white or red are the signs you would learn about not only for your CDL license but in all levels of driving instruction. It’s important not to miss signs about driving regulations because not do they help you avoid breaking the law and getting a ticket but they keep you from potentially getting into an accident. There are some signs that truckers, in particular, should always look out for. These can be bright yellow warning signs that let you know about steep hills and sharp turns that could tip your truck. And there are often truck-specific signs, such as ones that tell you the height limit to go under a bridge or where a truck escape ramp is on a steep road in case your brakes fail. A lot of times you may also see orange signs that tell you if there is road work ahead, which means a traffic slowdown. And, speaking of traffic, many highways will have computerized signs that deliver updates on whether there was a crash or road closed ahead. If you don’t miss that warning, then you’ll be able to take an alternate route to avoid a traffic jam. Some road signs are a traveler’s best friend because these signs will have information that applies specifically to them. Blue and brown service signs will tell you where to find gas, places to eat, rest stops and more. Green highway signs give you directions as well as tell you where the next weigh station is. When driving for long hours, you can easily start to tune out your surroundings. But if you’re tired and trying to find a rest stop, then it’s good to look out for signs that will let you know when one is coming up in the next few miles. There’s nothing more frustrating than accidentally zipping past the exit for a rest stop because it came up sooner than you think. Whether you are looking to upgrade your fleet to tow trucks or simply interested in the latest trucking technology, you can rely on Baltimore Freightliner-Western Star. We have provided top-notch service for the trucking industry for 30 years and would love to assist you in buying a new top-of-the-line truck, finding the specialty parts you need, or repairing your truck. Give us a call toll-free at 800-832-7278 or locally at 410-685-4474, or contact us online. To find out more about what we are up to, follow us on Facebook, Twitter, and Pinterest. 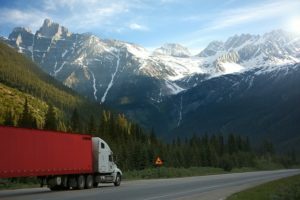 This entry was posted on Monday, April 1st, 2019	at 4:23 pm	and is filed under Trucking Basics	. You can follow any responses to this entry through the RSS 2.0	feed. Both comments and pings are currently closed.